DECADES ago the decline of a County Mayo town was chronicled in a book entitled "No One Shouted Stop". Locals were said to have been initially angry at the depiction of their area as a place ravaged by emigration and economic hardship, until they came to see that the author John Healy was trying to help. He was ringing an alarm bell. As unionist politicians continue to make decisions that are arguably destabilising Northern Ireland, it seems there is no one within their ranks who is prepared to shout stop. Northern Ireland is changing rapidly and unionist politics has failed to keep pace. In fact, Brexit is seen by some unionist politicians as a means of halting the process of change by creating a hard border and forcing a deeper economic dependence on London. There are voices within unionism who know that this tactic cannot work. Some of those voices are likely to have backed the proposed deal to restore Stormont, but they seem to have been drowned out for now. Almost 20 years since the signing of the Good Friday Agreement, there is a real risk that it is being undone. How has this happened and how has the Irish language become the focus of disagreement? In 2007 Peter Robinson and Ian Paisley led the DUP into government with Sinn Féin, despite internal party tensions. Robinson and Paisley saw the strategic need to make the move and so pushed on. But the seeds of this latest crisis were sown in what happened next. The DUP's Edwin Poots, Arlene Foster, Ian Paisley, Peter Robinson and Nigel Dodds, pictured in 2007 as they began to share power with Sinn Féin. The DUP knew that the historic unionist majority in Northern Ireland was being replaced by the growing Catholic/nationalist community. The party had a plan to woo nationalists, but never put it into action. Recurring financial scandals undermined the DUP position and forced it to shore-up its base. Meanwhile, after 2010 the first of a series of weak Conservative Party governments came to power in Westminster and began a long courtship of the DUP. In Dublin, government parties became obsessed with the growth of Sinn Féin and viewed the peace process through that party political prism. Northern nationalists came to believe the DUP was using Stormont to prioritise unionist interests and that Sinn Féin was unable to counter it. This is where the Irish language came to the fore. Calls for an Irish language act to cater for the growing Irish language community and Irish medium school sector dated back to at least 2006, but the issue remained on the political backburner. It was the actions of DUP ministers that turned up the heat. 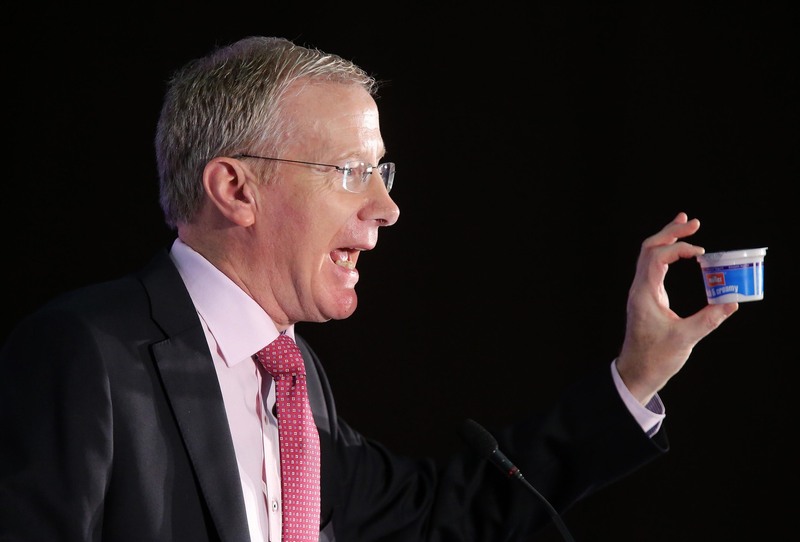 In 2014 the DUP’s Gregory Campbell singled out the Irish language in the Stormont chamber by replacing the phrase "go raibh maith agat, Ceann Comhairle" with the words “curry my yoghurt can coca coalyer”. In 2016 a DUP minister renamed a fisheries boat, replacing the Irish 'Banríon Uladh' title put in place by a Sinn Féin minister, with the English version `Queen of Ulster’. By late 2016 controversy had erupted over the DUP role in the botched Renewable Heat Incentive scheme, with the projected loss of hundreds of millions of pounds to the public purse. On December 23 that year DUP Communities Minister Paul Givan announced the withdrawal of a £50,000 grant scheme which allowed people from disadvantaged backgrounds to attend Irish lessons in Gaeltacht areas of Donegal. His letter to Irish language groups ended: “Happy Christmas and Happy New Year." Irish language activists organised public protests. The political temperature soared. Martin McGuinness pulled the plug on Stormont, forcing a snap election, during which Arlene Foster compared the granting of an Irish language act to the feeding of crocodiles. The touch paper was lit. 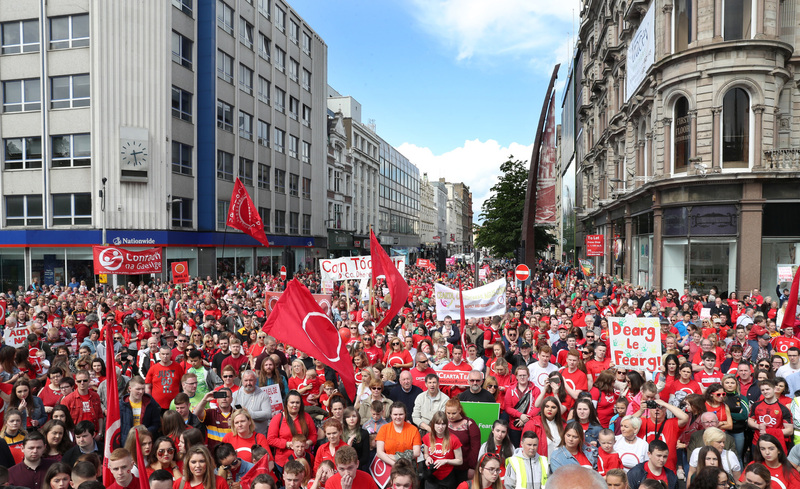 Thousands attended a rally in Belfast in May 2017 demanding an Irish language act. Today the origins of the Irish language dispute are lost in a public debate about how an Irish language act might work. But the reality is that 20 years after the Good Friday Agreement promised “parity of esteem” for the British and Irish identities, an Irish language act has become nationalism’s acid test. Unionist politicians have painted themselves into a corner. If they baulk at a compromise now, while also pursuing policies likely to deliver a hard Brexit, then Northern Ireland will be entering uncharted territory. Is no one in unionism ready to shout stop? A version of this article is published by The Irish Times.